Good colors. Thick pile. Gets a bit pilly when washed. Sturdy and comfortable to stand on. The wonderfully soft and plush Martex Abundance bath rug is made entirely of cotton with high and low cut pile to create the striped design. It's neatly hemmed and the sprayed non-slip latex back keeps the rug safely in place on the bathroom floor. You can choose from a variety of gorgeous colors. I just received this rug, the quality if the fiber is good, very thick and soft, however there is no latex on the back for non-slipping. Beautiful color, reasonably priced and seems to be good quality. The only thing is that the non-skid backing is barely there so you do experience the mat sliding sometimes but overall I'm happy with my purchase. 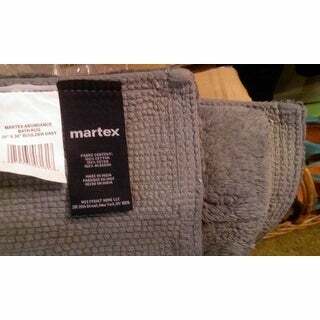 Just received my plum colored Martex bath rug and I am very happy with the quality! I ordered this to use as a bathroom rug instead of bath mat and it is the perfect size for my small extra bathroom. Love the color...will be ordering more for other bathrooms! This is a very good quality rug. I bought it to go with some very nice plum colored towels I bought from Overstock. They match well and the rug looks nice in the guest bath. I like the variation in texture that is going on with this product. 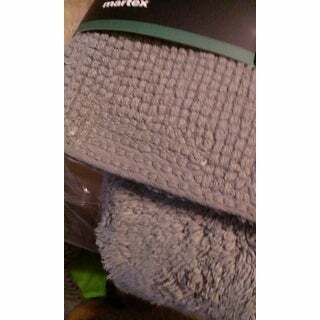 I highly recommend this Martex bath rug. While these rugs are perfectly functional, I'm not totally thrilled with the way they look in person. I recently remodeled my master bathroom and wanted three rugs, two for in front of dual sinks and one for the "toilet room." The dark grey is a nice color, but the rugs actually look a little cheap for my liking, and they're not as plush as I was looking for. Even after washing and drying, the pile is really flat and they're just not very luxurious-feeling. They'll work for now, but I will keep my eyes open for a better option and then repurpose these rugs into my downstairs 3/4 bath. Very nice for my bathroom and the color of my bath rug go will with my stuff the non-skid backing is safe for me when I get out the shower or tub. Thanks and the price is right. Non skid backing did not work at all. Non skid back is not very non-skiddy. The rug still slips on my bathroom floor. Nice rug otherwise, though. I bought the plum color and it looks lovely with my floral shower curtain! 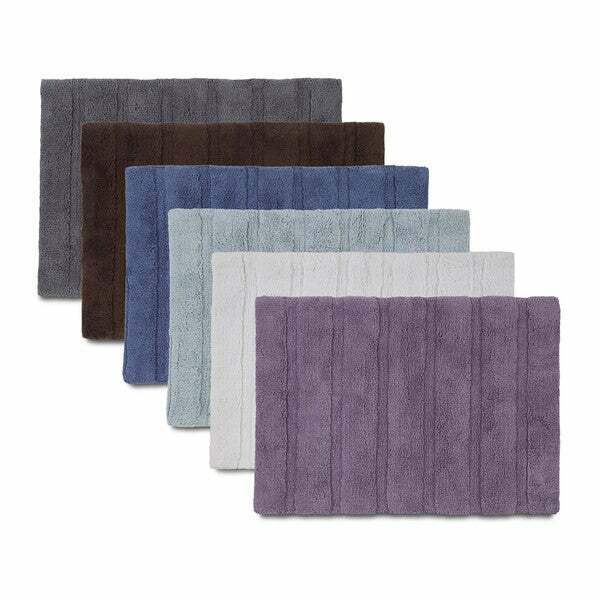 Despite the rug feeling nice and soft under ones feet, .it is sturdy and the non-skid backing is an extra bonus on a slippery bathroom floor after a bath or shower. Very pleased w the two I ordered. Thought it could have been a bit more plush and I don't think I would recommend this to a friend because it appears a bit washed out from the picture online. Pass on these. They do not wash well and shedded very badly in the washer. As someone else commented there is no discernible backing on these. I should have returned but have washed. I purchased the plum colored one and the color is exactly as presented. It is also really easy to wash and dry. Too thin, expected a much softer, more absorbent mate. Works great and has held up for longer than I expected. 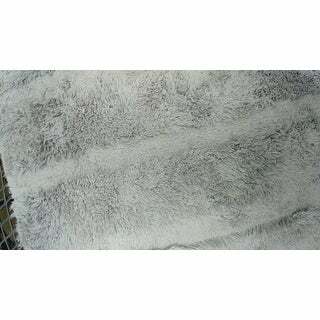 This bath rug wears well, I have washed it several times and it still has a nice fresh look to it. I hang to dry. They are not slip resistant as advertised. We are not pleased with the quality for this price and will not purchase this item again. Too small. Color kind of like a dark wedgewood...not what I was looking for. No contour rug to match. Don’t think you’ll ever match this color with anything else. Nice all cotton rug. Fits well in the bathroom. Love the purple color. easy simple rug that doesn't slip - perfect for a small bathroom- like very much. "What's the pile height of this rug?" The pile height is approximately 1/4"
It's the only place I could find a smaller bathroom rug in plum. bath rug is made entirely of cotton with high and low cut pile to create the striped design. It's neatly hemmed and the sprayed non-slip latex back keeps the rug safely in place on the bathroom floor. You can choose from a variety of gorgeous colors.